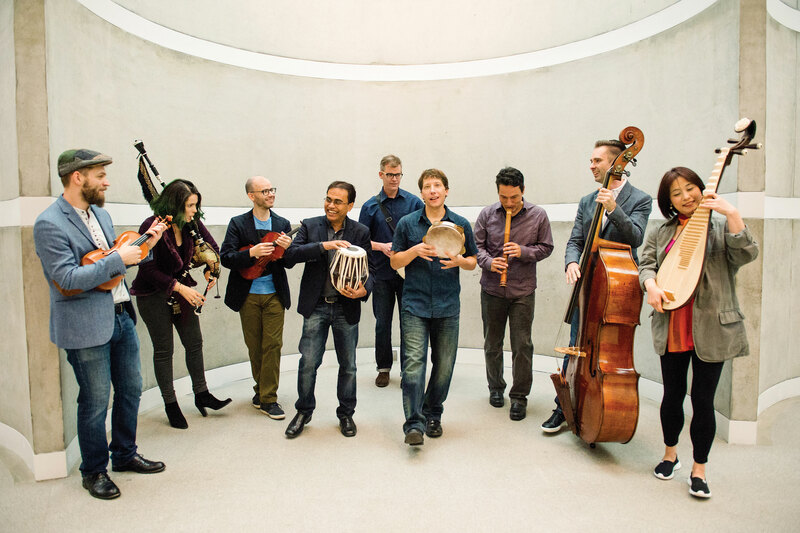 UGA Presents is bringing the Grammy Award-winning Silkroad Ensemble to the University of Georgia campus March 29 for an 8 p.m. performance in Hodgson Concert Hall. The Silkroad Ensemble was conceived by cellist Yo-Yo Ma in 1998 as a reminder that even as rapid globalization resulted in division, it offered extraordinary possibilities for collaboration. He brought together musicians from the lands of the Silk Road to co-create a new artistic idiom, a musical language founded in difference. Today, the musicians of the Silkroad Ensemble continue Yo-Yo Ma’s vision by working together to model the power of radical cultural collaboration. Silkroad has recorded seven albums, and “Sing Me Home,” which won the 2016 Grammy for Best World Music Album, was developed and recorded alongside the documentary feature “The Music of Strangers,” from Oscar-winning director Morgan Neville. “Our music began deeply rooted in the lands of the historical Silk Road; today, it is an exploration of difference and collaboration that extends far beyond that place and that time. It is, we hope, an invitation to listen, to be curious, and to collaborate. Listening, curiosity, and collaboration are essential to what we do on stage, and they are habits we believe are critical to living in a hopeful, inclusive, and democratic society,” says Jeffrey Beecher, Silkroad Ensemble artistic director. Tickets for the concert start at $40 and can be purchased at the Performing Arts Center box office, online at pac.uga.edu or by calling 706-542-4400. A limited number of discounted tickets are available to current UGA students for $6 and $10 with a valid UGA ID (limit one ticket per student). A pre-performance talk will be given by a member of the Silkroad Ensemble at 7:15 p.m. in Ramsey Concert Hall. The concert is sponsored by Kent Darling Garbee.